Searching for a plugin that will let you share events with your visitors? The Events Calendar by Modern Tribe is a fully-featured plugin designed to work right out of the box. Find out how you can create your own calendar in 5 minutes in our The Events Calendar review. Do You Need The Events Calendar Plugin? 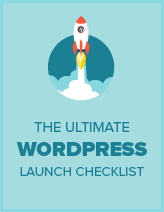 If you want to feature any kind of events on your WordPress site, it’s difficult to do so without a plugin. A dedicated event calendar plugin will let you create a calendar on your site that’s helpful to your visitors, where they can find all the information they need to attend. Getting started with The Events Calendar is easy. First, install and activate the plugin and you’ll be redirect to the welcome screen. Your calendar is already installed — you can find it at example.com/events. To configure your options, click on Events » Settings. Here you can choose how many events to display per page, whether to display events among your blog posts, timezone settings, and more. To add your first event, click on Events » Add New. Enter a title and description, and then scroll down to add the date and time. Below that, you can add the location details. The location will be saved and you can use it again in the future. You can also add the event website, cost, and other details below. Click Publish and your event will now display and be searchable from your calendar. You can view your calendar events by month, day, or in list form, and the designs are all responsive. Your calendar is also searchable by keyword or date, and can be exported to iCalendar or Google Calendar. Recurring Events: Set events to recur daily, weekly, monthly, yearly, or just on certain dates. Keep them recurring forever or set an end date. Week View: View all events on your calendar by the week. Photo View: Grab attention and increase engagement by displaying your events’ featured images more prominently. Location Search: Allow visitors to search events by location. Map View: See events with assigned venues on a map. 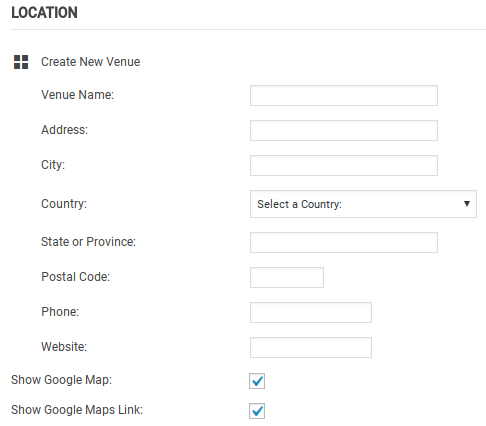 Venue & Organizer View: Display relevant information about the organizer or venue and a list of all their upcoming events. Advanced Widgets: Display widgets of your calendar, upcoming events lists, countdowns, featured venues, and more. Additional Fields: Create custom fields to include extra information about events, such as age restrictions or performers. Event Tickets (free! ): Collect RSVPs directly from your events. Event Tickets Plus: Add eCommerce integration and sell event tickets using WooCommerce, Shopp, WP eCommerce, or Easy Digital Downloads. Community Events: Allow users to add events from the front end. Community Tickets: Integrates with Event Tickets and Event Tickets Pro add-ons to allow visitors to create and sell tickets for the events they submit to your calendar. Filter Bar: Add advanced search and filter options to help users find the events they need. Facebook Events: Import public events on Facebook directly into your WordPress site. iCal Importer: Import events from any website that publishes an iCal feed and add them to your listings. Eventbrite Tickets: Events are created on your WordPress site and in your account on Eventbrite.com, and you can redirect visitors there to purchase tickets. You can also contact Modern Tribe to create a Custom Enterprise Solution for you. Sites like Harvard Law School, Stanford Law School, and the city of Santa Cruz all use custom Event Calendar enterprise solutions. For the free The Events Calendar plugin, basic support is available in the WordPress.org forums. The developers check the forums once a week and light support for setting up your calendar and bug reporting. The Events Calendar Pro plugin includes access to premium support forums, with a guaranteed 24-48 hour response time on weekdays. While free plugin users can’t post to the premium support forums, they can browse them, so you still may be able to find the answer you need. Modern Tribe also maintains a huge knowledgebase and a lot of documentation for developers. The Events Calendar is one of the most popular plugins in the WordPress directory for a reason: it’s simple, works great, and is easy to use. You can get started creating your own events calendar in minutes, and the default responsive design looks great. The developers also make it very easy to customize the plugin, and provide a number of useful add-on plugins to extend the features. The Events Calendar CSV import really is only for simple events, that are in one language, don’t have tickets or RSVP, are not recurring and that don’t gather attendee information. I will have to create all my events manually which really is disappointing and time consuming. They shouldn’t advertise a feature that doesn’t allow import of half the fields and that requires a separate import for events and their tickets especially when the ticket import doesn’t even work. Their customer support is sporadic and slow. The add-ons like the filter bar are limited and require CSS tweaking to display properly.